Why does the body of Christ exist? What is our mission? Defining our mission is crucial if we are to be focused and strategic in accomplishing the tasks given to us by our God. The Lord gave His mission to the church in the passages of Scripture defined as the Great Commission. “Go, therefore, and make disciples of all nations, baptizing them in the name of the Father and of the Son and of the Holy Spirit, teaching them to observe everything I have commanded you” (Matthew 28:19-20a). In the book of Acts, Jesus goes further and says, “You shall be witnesses to Me in Jerusalem, and in all Judea and Samaria, and to the end of the earth” (Acts 1:8b). These passages give us a clear direction. The church is to witness, preach, teach, baptize, and serve with the purpose of making disciples for our Lord and Savior Jesus Christ. Through the years, Christians have often disagreed on our primary task. Some in the church argue that social justice should be our main concern. Others argue that reaching people for the Gospel is our primary concern. I would argue that Jesus clarifys this for us in the Great Commission. Our task is to make disciples and bring people to the hope that can only be found in a life-changing relationship with Jesus Christ. This must be at the heart of all that we do as the church. With all this being said, does this mean as believers that we have no concern for feeding the hungry, caring for AIDS orphans, or rescuing human trafficking victims? Does it mean that we focus solely on sharing the Gospel with no involvement in social issues? Again, I would argue that Jesus clarifys this in the Great Commission. Jesus said the church is to make disciples teaching them to observe all that He has commanded us. In Matthew 22, Jesus was asked, “‘Which is the greatest commandment?’ Jesus said to him, ‘You shall love the Lord your God with all your heart, with all your soul, and with all your mind. This is the first and greatest commandment. And the second is like it, ‘You shall love your neighbor as yourself. '” To be a disciple, Jesus Christ clearly calls us to have an absolute love for God, and He further calls us to express caring love for our neighbors. Our calling is not “either or,” but must always be “both and.” As His disciples, we are to fulfill the Great Commisssion and the Great Commandment. Multi-faceted – When we consider the scope of lostness around us, we cannot afford to limit ourselves in exploring every possible way to proclaim Christ to the nations. Compassionate ministry demonstrates the love of Christ, but also opens doors for the Gospel. All-encompassing – We must start by making disciples in our Jerusalem, but our witness can never end there. Our calling is to the nations, and our mission will not be complete until every corner of our globe hears of Christ. Cooperative – The church must find ways to work together and share cooperatively if we are to reach our world. No single church has the resources to reach the world alone. The Cooperative Program remains as our best plan to accomplish this incredible task. We are stronger together than alone. Christ-centered – The Gospel is the hope for our world. We must have compassion for the hungry, poor, widow, and orphan. But, without Christ there is no hope for tomorrow. Sharing the Gospel must always be central to all that we are about. Our mission is and will always be to make disciples as we fulfill both the Great Commission and the Great Commandment. Spring has officially arrived. This morning I sit in my house with the front door and windows open. The sun is shining brightly and fills the room. I hear the sound of the chimes coming from the porch as they blow in the gentle breeze. With spring comes new life. 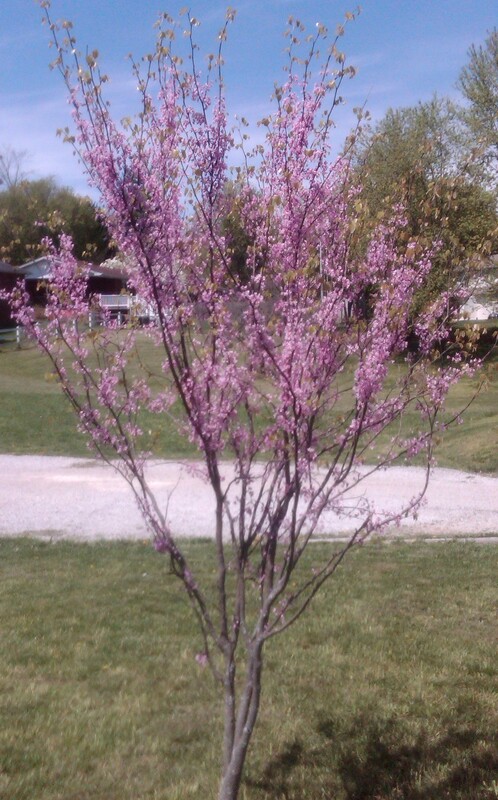 My redbud trees are in full bloom, trees are leaved out, flowers are blooming, and grass greening up, not to mention how fast it has grown following this past week’s rain. “This is the day the Lord has made” and what a beautiful day to enjoy His creation. Spring brings about activity. Children are playing outside, neighbors are mowing the grass, and families are out for a stroll. Things are coming back to life after the long, cold winter months and it just brings a smile on our faces. With spring, also come opportunities for ministry. I get many calls this time of year from churches and/or teams looking for places to serve. 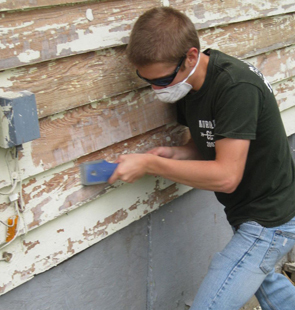 We have ministry opportunities from northern to southern, western to eastern, Kentucky. At present 120 projects needs are posted on our website, including church requests, association requests, and ministry center requests. Backyard Bible clubs, block parties, prayer walking, door-to-door outreach, church construction (new construction to renovation, painting and putting on new roofs), demolition projects, home repairs, resource needs for ministries, children and youth outreach, women’s events, food and clothing ministry projects, raceway ministry, camp events, work with teen parents, long-term, short-term, one-day projects all the way to two-plus year projects. All of these are available for just the right individual or mission team. As you experience the new life of spring, why not take the opportunity to share with others the rich new life they can experience in Christ. For information on how you can serve in Kentucky this spring and summer give me a call or check out our mission opportunities at www.kybaptist.org/go. Have you ever felt that only a small number of church members were doing the majority of the work? It’s pretty common in churches, at least the ones I’ve been a part of, for us to depend upon the same few individuals to teach Sunday School, sing on the praise team, lead the men’s ministry, serve as deacons and coordinate the discipleship ministry. When this happens, we are observing what is called the 80-20 rule or Pareto principle. The Pareto principle states that roughly 80% of the effects come from 20% of the inputs or causes. The principle was named after Vilfredo Pareto, an Italian mathematician and economist who noted, in 1906, that 80% of land in his native Italy was owned by the wealthiest 20% of the population. Pareto went on to comment that 20% of his garden’s pea plants produced 80% of the peas he grew. It’s important to understand however, that the numbers don’t have to be “20%” and “80%” exactly. The key point of this principle is that most things in life (effort, reward, output) are not distributed evenly – some contribute more than others. What if we’re observing the 80-20 rule in our churches only because we’re failing to engage the community as God intends for us to do? Scripture (Ephesians 4) teaches that believers have been gifted and should be equipped for the work of the ministry. But what if we’ve limited the ministry in our churches and are not providing places of service for some believers. Churches should be engaged in outreach focused community ministry. When the majority of our ministry is inward focused and self serving, we are keeping a large number of believers from using their gifts, passions and experiences in service to Him as they were equipped and prepared for. Community ministry in the name of Christ creates opportunities of service for believers who will find joy and fulfillment in serving because they’re using the talents and gifts God has equipped them with. Christ followers want and need to serve – but not all are given the chance if ministry opportunities ONLY exist within the walls of the church. The next time you observe the Pareto principle happening in your church, let me challenge you to consider how an outreach focused community ministry might involve the passion, gifts and talents of the “other 80%”. 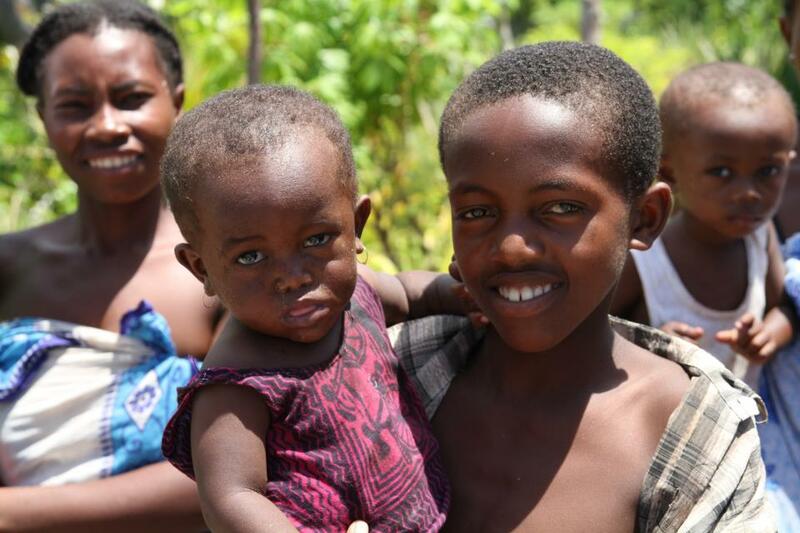 “For the needy shall not always be forgotten, and the Hope of the poor shall not perish forever” (Psalm 9:18). Extreme Poverty…Civil War…Malaria…Unclean Water…High Infant Mortality…Hunger…Tribal Conflict…Draught…HIV Aids…Child-headed Homes…Malnourishment…Cholera…Cyclones…Thirst…Aids Orphans…Floods…Displaced Refugees…Lack of Medicine…Village Fires…Unreached Peoples…Unengaged Peoples…Darkness…Hopelessness. Baptist Global Response has asked Kentucky Baptists to join them in bringing light to the nations and hope to the hopeless by coming alongside the people of Sub-Sahara Africa through strategic disaster relief and community development. Discover how you could make a difference for the sake of Christ in Sub-Sahara Africa and around the world on April 26-27, 2013 at the Sub-Sahara Disaster Relief and Community Development Training. Explore the biblical mandate of believers to provide compassionate care to those in need. 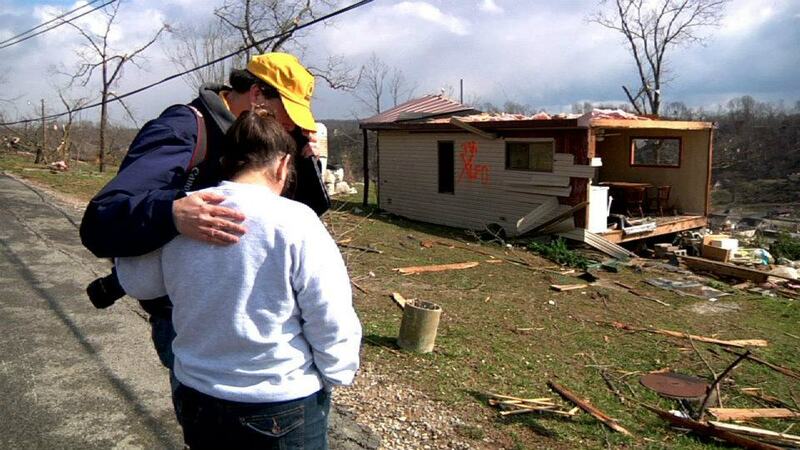 Discover how Southern Baptists already are responding to international disasters. Learn how BGR is equipping people to rise above poverty through community development initiatives. Discover Biblical and strategic principles for impacting cultures around the globe through compassionate ministry. Receive practical training in how to serve in the Sub-Saharan culture. Enjoy time with Baptist Global Response Field Strategists for Sub-Sahara Africa, Mark and Susan Hatfield. Space is limited to 100 persons per tracks. Advanced registration is required. Fees are $30 per person and include lunch on Saturday. Go to http://www.kybaptist.org/hope to register online. The training sponsored by the Kentucky Baptist Convention will take place at the Highview Baptist Church – East Campus at 15201 Shelbyville Road in Louisville, Kentucky. Training begins at 6 p.m., EDT, on Friday and continues 8 a.m., EDT, Saturday. Questions? Contact KBC by e-mail at [email protected] by phone at (502) 489-3399 or 1-866-489-3527 (toll-free in KY), or contact Baptist Global Response by phone at (615) 367-3678. Is God calling you to be His light and to bring His hope? Are you ready to go the distance for His sake? “You answer us with awesome and righteous deeds, God our Savior, the Hope of all the ends of the earth…” (Psalm 65:8).